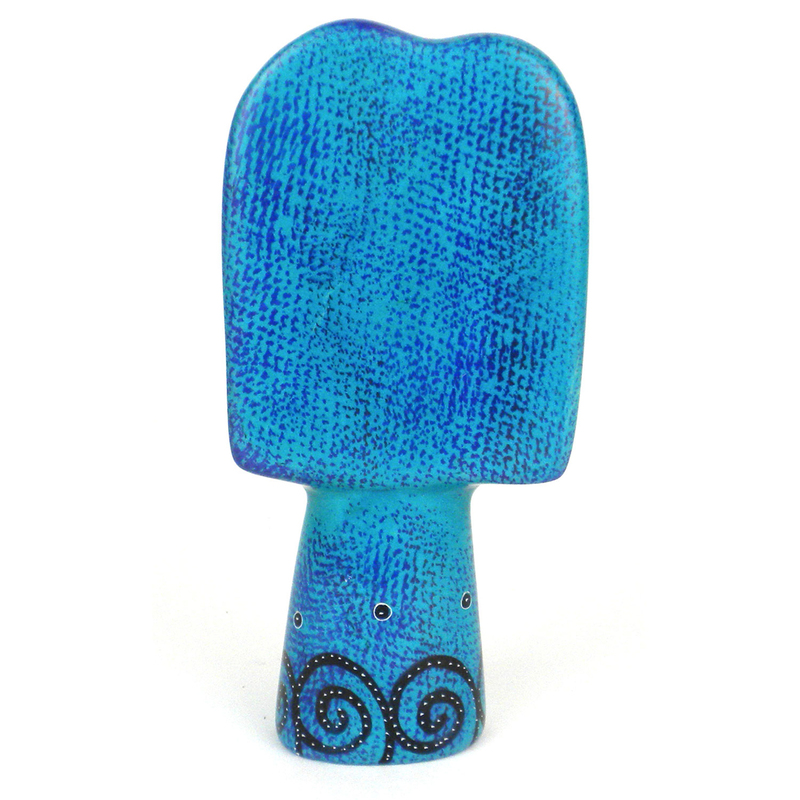 Hand Made 5″ Soapstone Angel dyed Blue, Red, Orange or Pink. 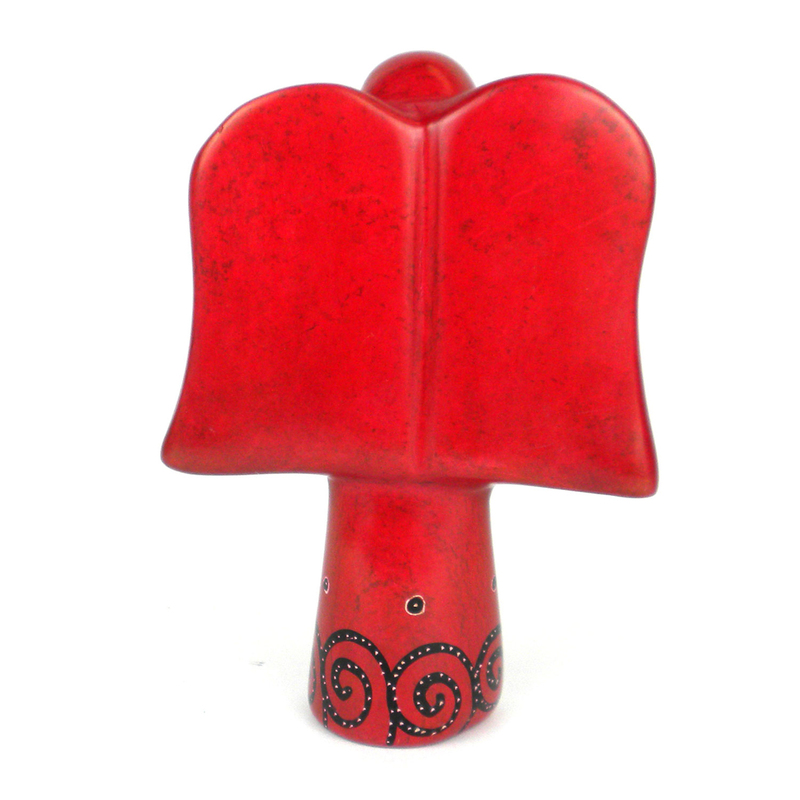 Tags: Angel, hand made in Kenya, Soapstone, soapstone Angel. 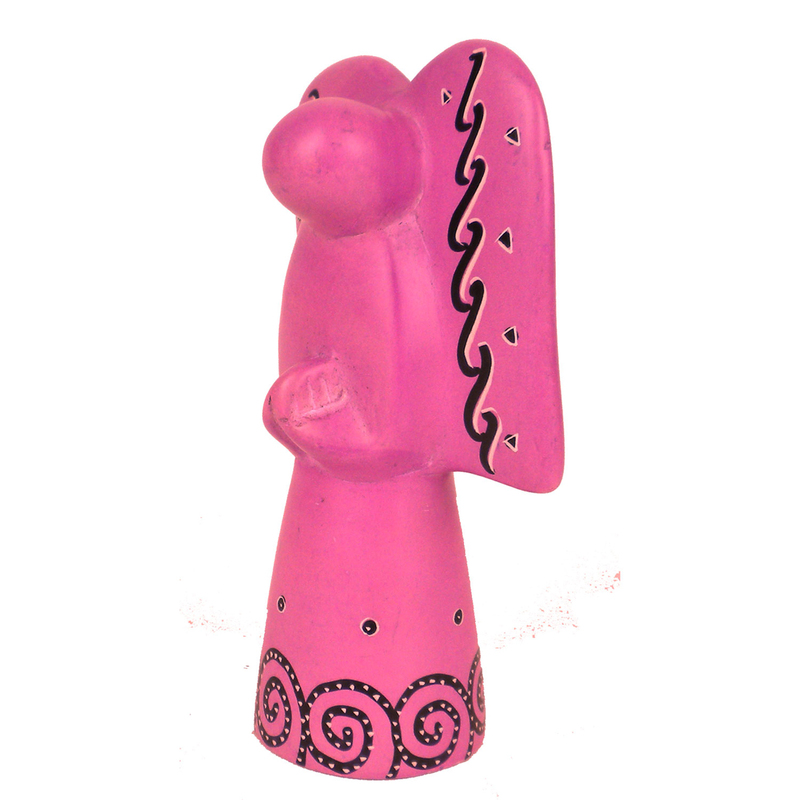 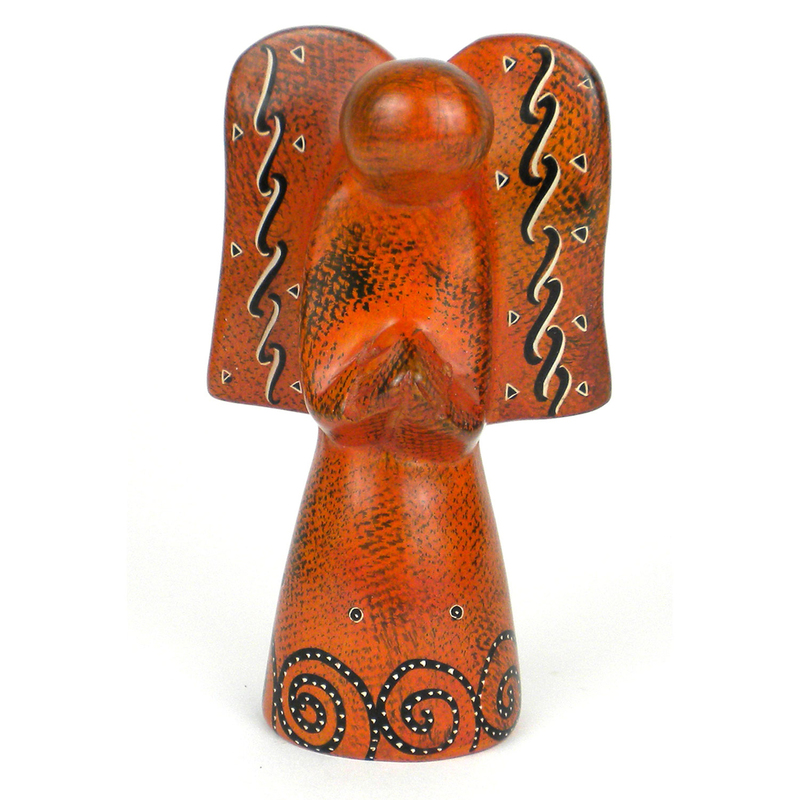 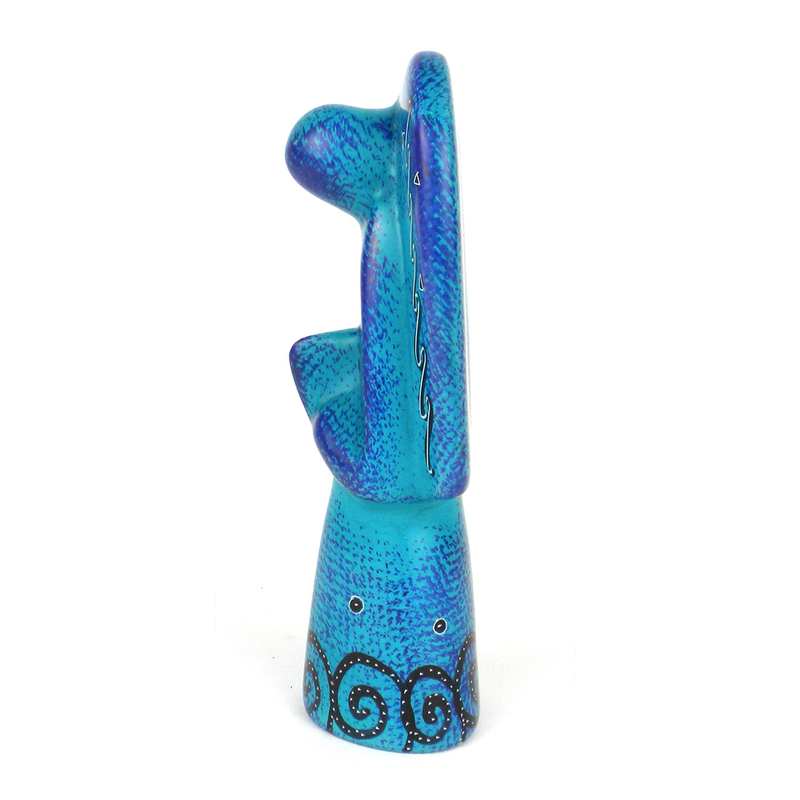 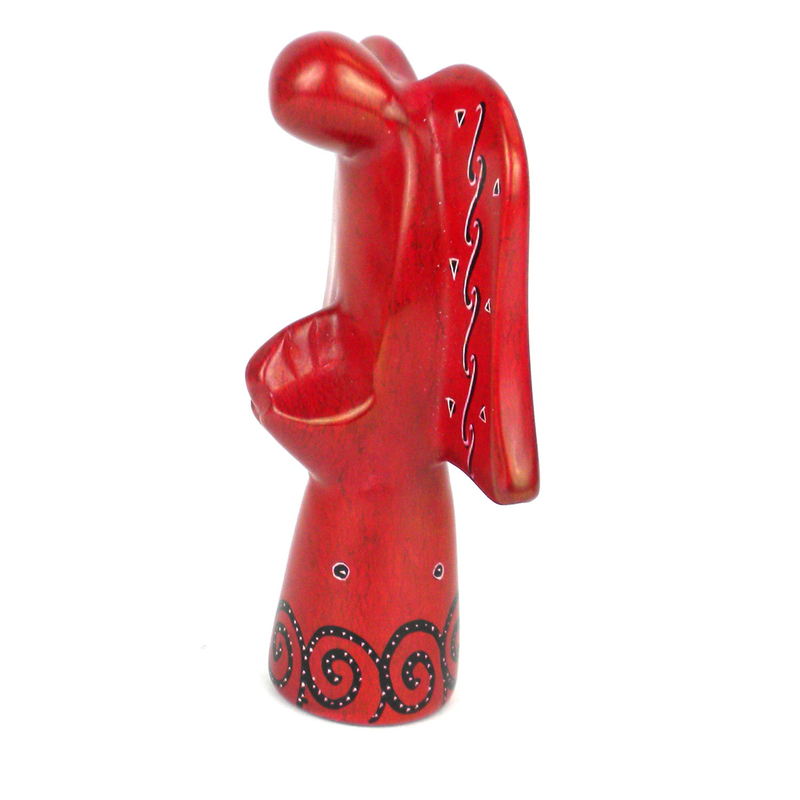 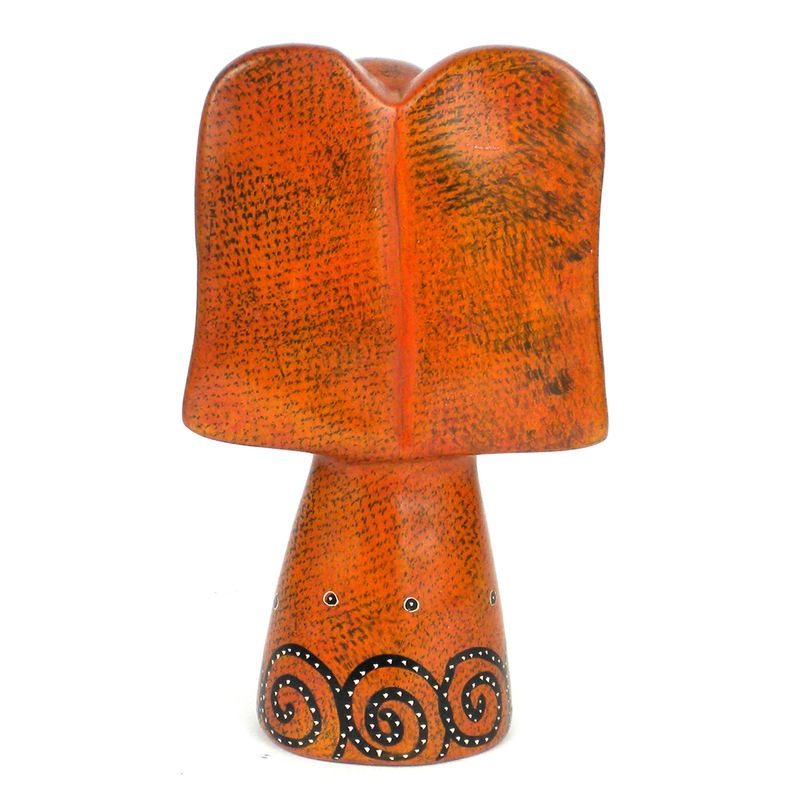 Handcarved from a single piece of soapstone, this angel measures 5″ tall. 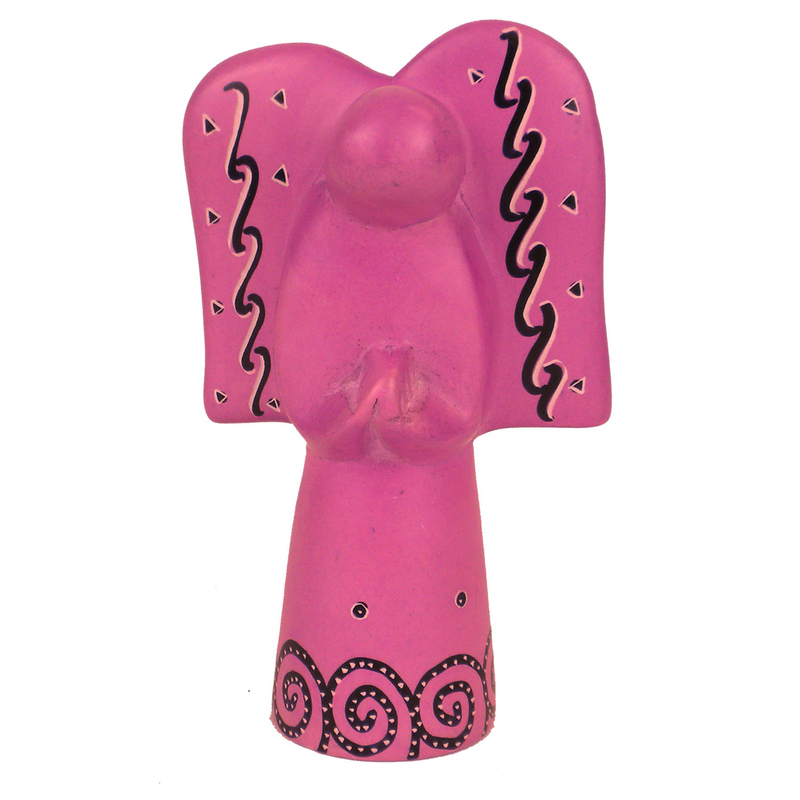 These angels have been dyed either blue, orange, pink or red and etched with a design. 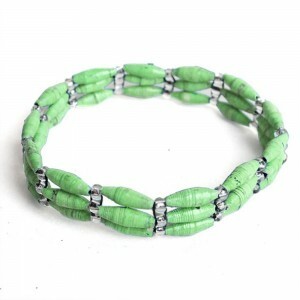 The Soapstone is quarried in Tabaka, near Kisii, Kenya. 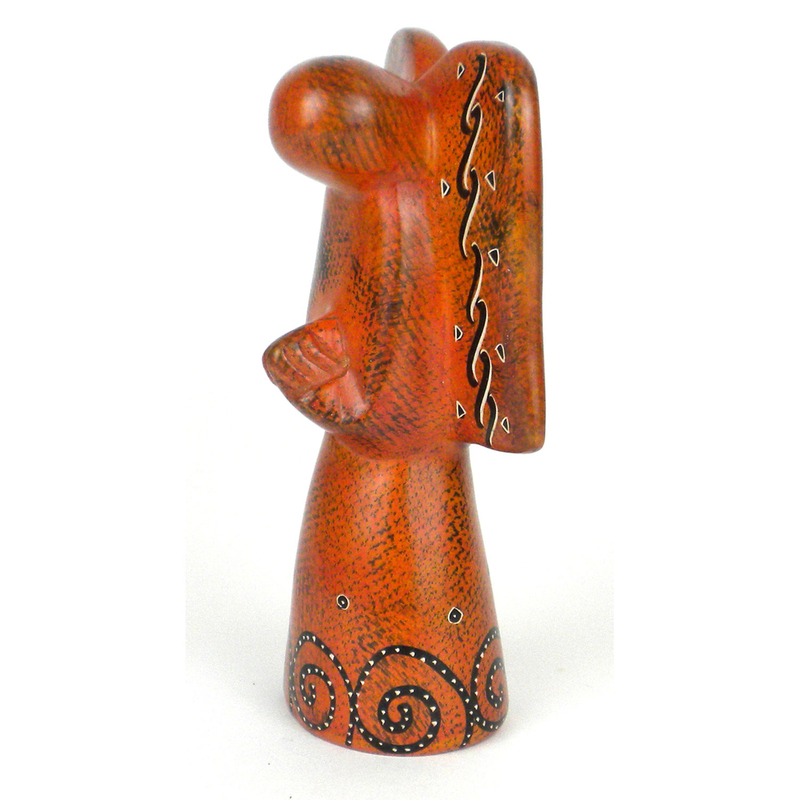 The raw stone is sold to rough carvers. 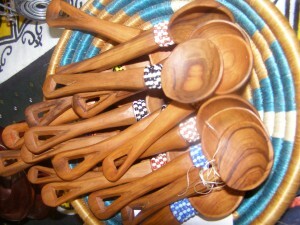 They sit in the shade of a tree and carve out the rough shapes which get sold to the finishers. 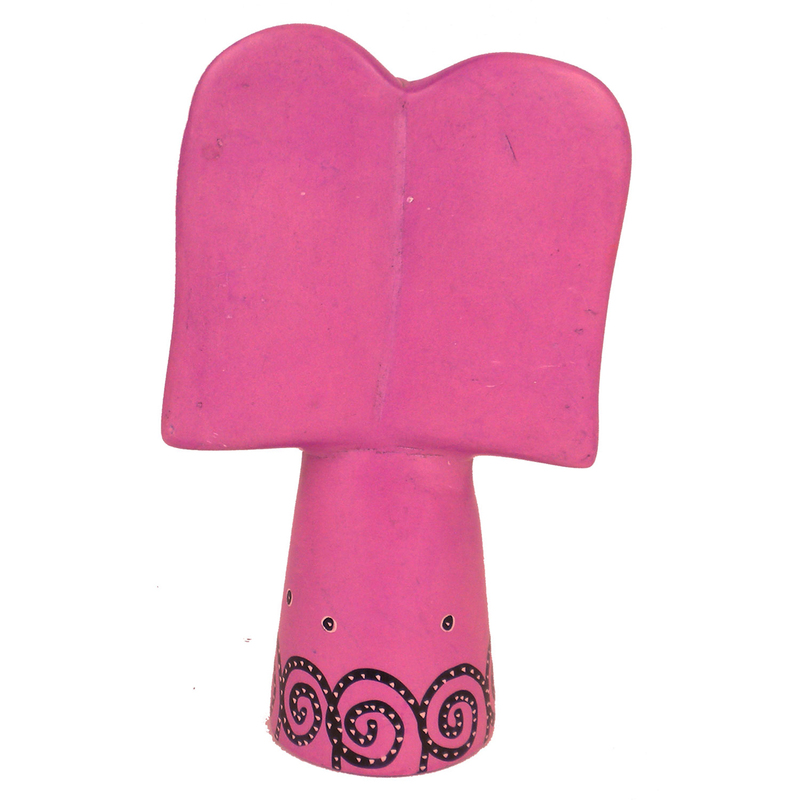 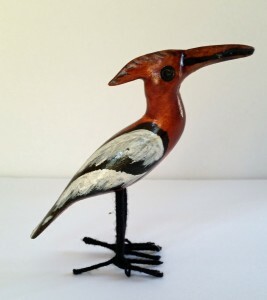 The finishers use small knives, files, nail files and sandpaper to finish the figures. 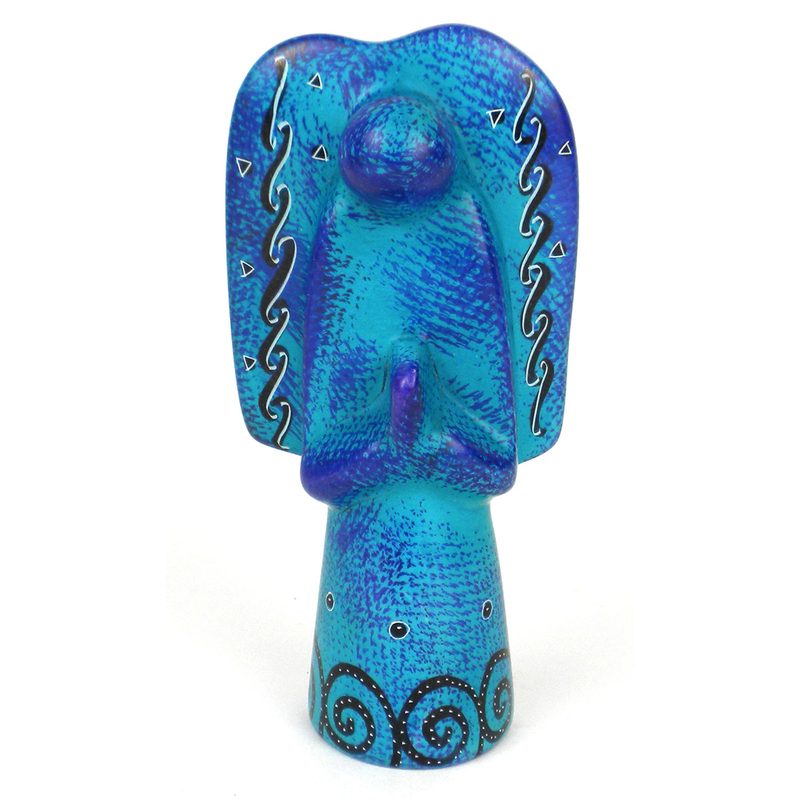 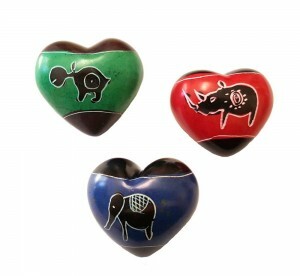 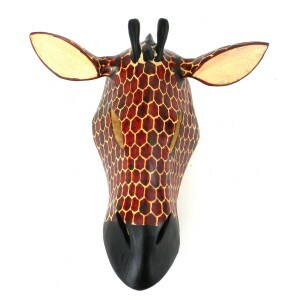 They can then be dyed a variety of colors and etched with designs or left natural to show the grain of the stone. 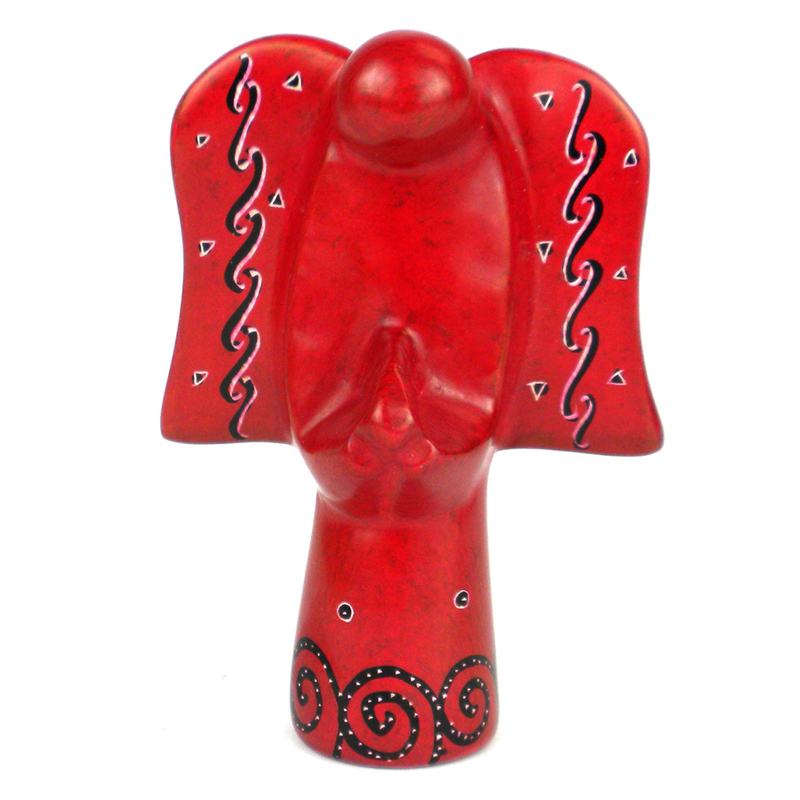 The pieces are then finished with a wax to seal the pores of the soapstone and bring a high shine.